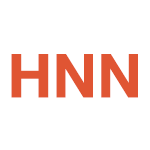 As global health and breastfeeding advocates, we are well versed on the barriers to breastfeeding that women face worldwide and the impact this has on both maternal and child health outcomes. 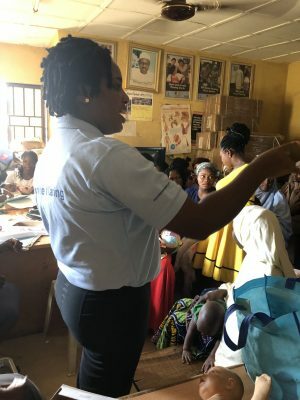 But it was during my recent trip to Nigeria for our Breastfeeding and Social Media Workshop that I had the opportunity to observe first-hand the impactful work of passionate advocates working in-country, fighting to ensure that all babies have the opportunity to not only survive, but to thrive. 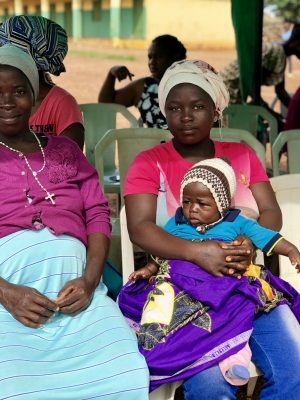 Nigeria has one of the highest rates of childhood malnutrition in the world – in part because the exclusive breastfeeding rate in Nigeria is just 17%. But there is great energy and work underway by leaders such as Hauwa Abbas of the Silver Lining for the Needy Initiative; Rita Momoh and Dr Luther-King Fasehun of the Wellbeing Foundation; Mavis and Rachel Robinson of the Heal the Youth Foundation; and many others – and I am honored to highlight some of their work. While in Nigeria, I was graciously hosted by Hauwa Abbas, Founder of the Silver Lining for the Needy Initiative (SLNI) to join a community program for pregnant women in the Kpaduma Community in Abuja. In Kpaduma, I was told that most women have between 5 and 7 children and that there are hundreds of pregnant women at any given time. Although this particular community has electricity and access to water, it does not have a healthcare center, and the local public hospital had been on strike for 40 days on account of wage negotiations. 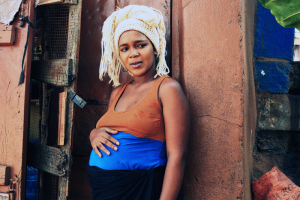 This presents enormous obstacles to women’s access to quality maternity healthcare, making programs like SLNI’s essential to maternal and child health outcomes. 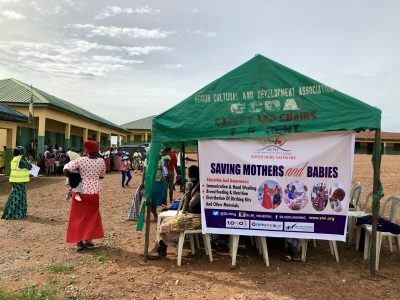 The purpose of the day’s event was to ensure all mothers in Kpaduma had a chance to speak with a nurse about what to be aware of during pregnancy and birth, including the importance of exclusive breastfeeding and a breastfeeding demonstration with a volunteer mother and infant from the crowd. Leaders also shared details about the importance of hand washing and vaccinations, and they led songs with the group of women and children attending. Since there is no healthcare center, the program was arranged outdoors at one of Kpaduma’s schools. 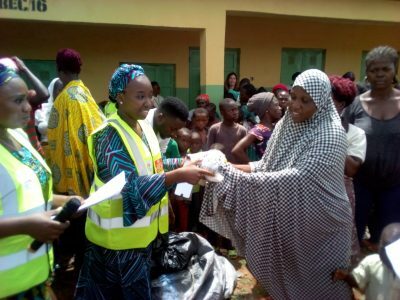 As a part of their community programs for pregnant women, SLNI hands out “Mama Kits” for home birthing to the 400 pregnant women in the community. 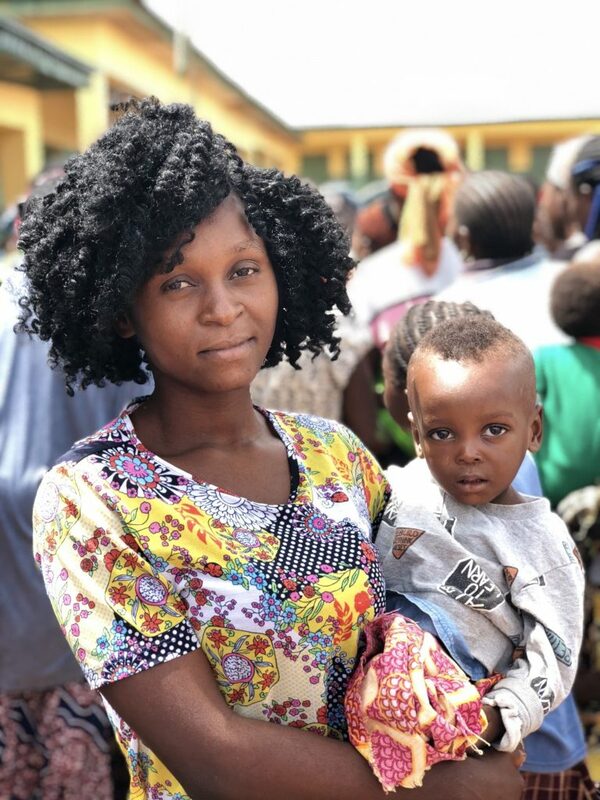 These “Mama Kits” include essentials such as a sterilized blade for cutting the umbilical cord, gauze, cotton balls, sterilizing fluid and a Macintosh mat, which provides a sterile surface for mothers to lay on when giving birth at home. As many mothers do not have the tools for a safe birth, these kits are critically important in reducing maternal and child mortality. To learn more about the Silver Linings for the Needy Initiative, check out their website and follow them on Facebook and Instagram. 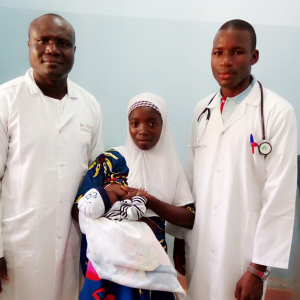 While staying in Abuja, I also had the opportunity to join Rita Momoh, a midwife who teaches classes on exclusive breastfeeding and handwashing as a part of the MamaCare Program with Wellbeing Foundation Africa (WBFA). Rita teaches 2 classes every weekday morning and does house visits for local families, reaching hundreds to thousands of mothers each month. I was able to join Rita for an antenatal class at Garki Hospital in Abuja as well as a postnatal class at Lugbe Primary Healthcare Center in a nearby southern village. Her classes were both engaging and informative. She opened with a song about the love of a baby, mother and father, and provided significant detail about proper handwashing and breastfeeding. Rita emphasized the benefits of breastfeeding not only for baby’s health, but for the whole family, noting that breastfeeding has health and economic benefits for moms and dads. To learn more about the Wellbeing Foundation Africa, check out their website and follow them on Facebook and Instagram. It was incredibly moving to meet the leaders working in Nigeria to improve health outcomes for moms and babies. After seeing these health workers’ and advocates’ work first hand, I am inspired and energized to continue advocating for better policies and programs that impact communities like these and the women and children where it matters the most. 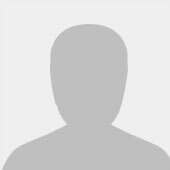 This blog was cross-posted from the Thousand Days website.